Elegant and masterfully built; the St Tropez Teak Outdoor Loveseat is a beautiful addition to any space. W58" x D37" x H37"
Create an atmosphere of tranquility and sturdy comfort in your very own backyard with the St Tropez Outdoor Loveseat. 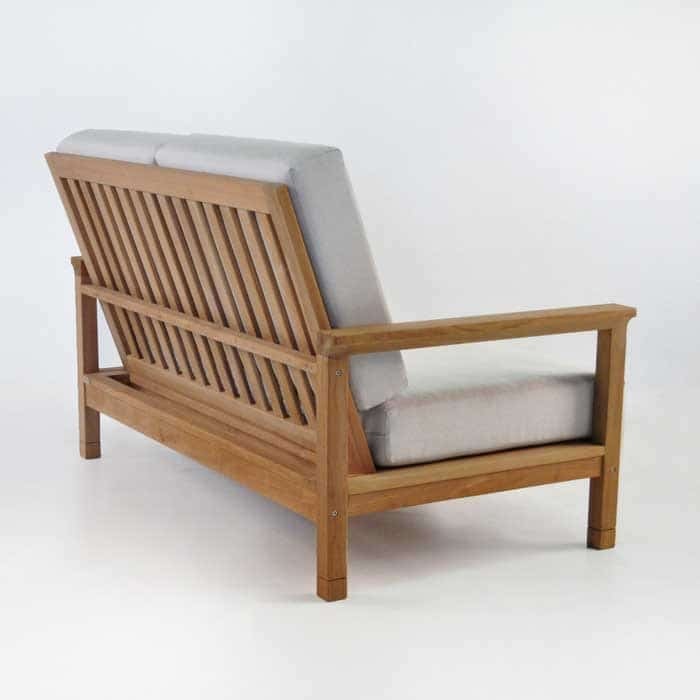 Part of the stunning, traditional St Tropez Teak Outdoor Furniture Collection is named after the French seaside town, holding all the same qualities: glamorous, relaxing, balmy. 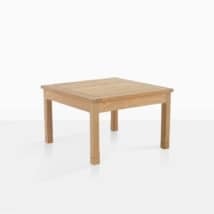 Featuring a simple design with small details that make it pack a punch; each seating unit is slightly angled for extra back support and features an attractive flared detail on each arm, super for placing a small glass as well as being a terrific arm rest! 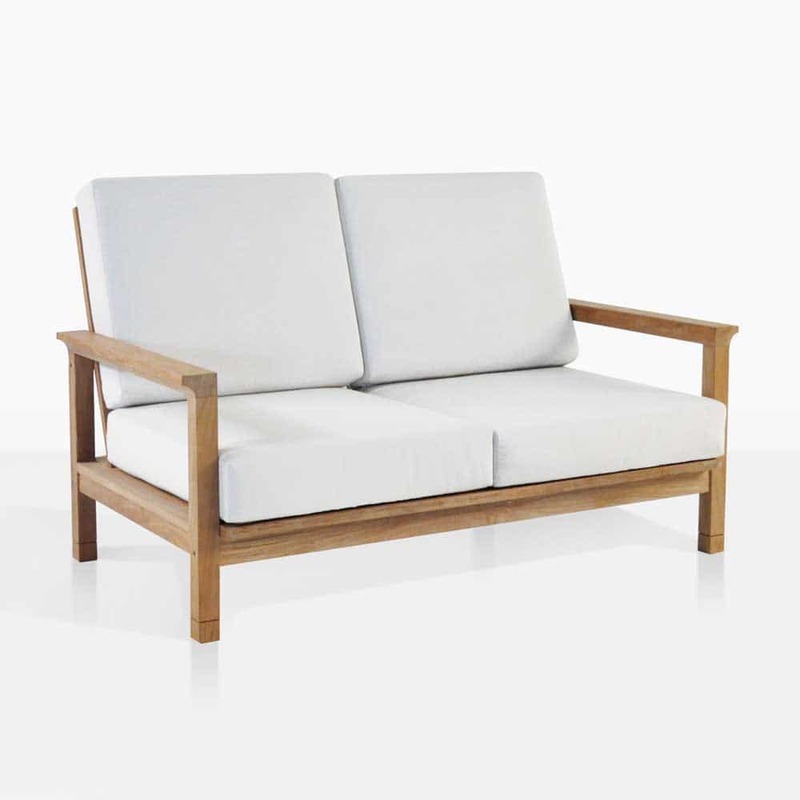 This solid A-Grade Teak Outdoor Loveseat suits both traditional and modern environments, and can accommodate all spaces, big or small. Try the St Tropez Outdoor Loveseat on a small brick patio, brightening up the space with Buttercup colored Sunbrella® cushions! 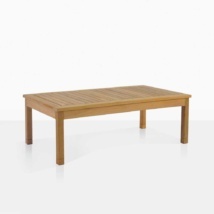 Place a St Tropez Coffee Table in front of it and you have an immediate, delightful area for morning coffees and more! 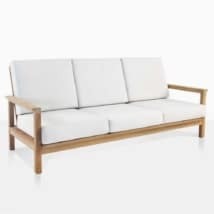 If you have a larger space to fill and want to create an ideal area for entertaining, also purchase a St Tropez outdoor Sofa with two Teak Outdoor Lounge Chairs; soon you’ll have everyone seated, happy and comfortable! The St Tropez Outdoor Collection is made from an A-Grade Teak frame, famous for its durability and its pleasant, attractive look! 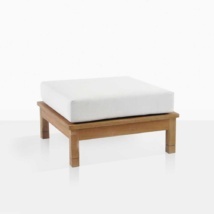 Against the glory of this beautiful wood are Sunbrella® cushions, available in a great array of colors! 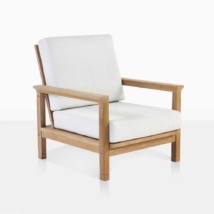 Sunbrella® cushions are free with your purchase of the St Tropez Outdoor Loveseat!